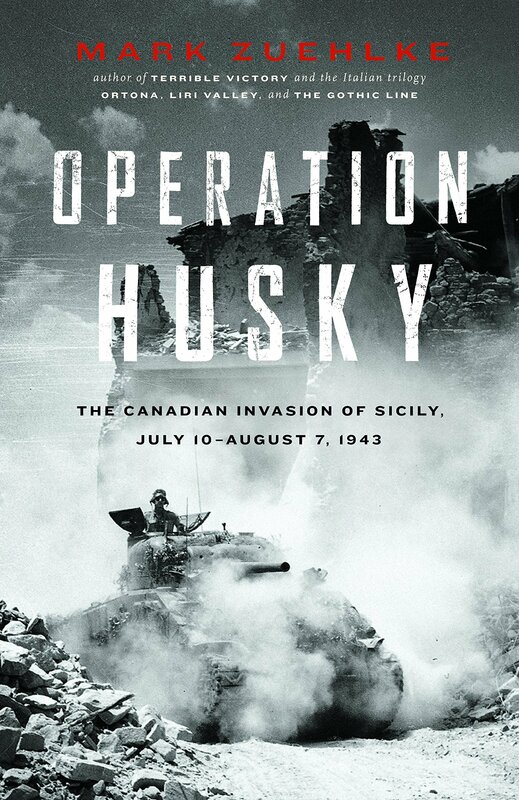 On July 10, 1943, twenty thousand Canadian soldiers joined two great Allied armies on the beaches of southern Sicily for Operation Husky — the first western Allied thrust to win a toehold inside HItler’s Fortress Europe. Guarding the renowned Eighth Army’s left flank, 1st Canadian Infantry division and 1st Canadian Army Tank Brigade struck out fro the sand into the island’s rugged interior. In searing heat, these untried tropps clashed in ever-intensifying battle to wrest towering mountains and ancient hill towns away from the elite veterans of Germany’s Hermann Goring and 1st Parachute divisions. Riflemen Gordon Campbell and Jack Strickland of the Canadian Army Occupation Force (C.A.O.F.) checking the identity passes of bus passengers, Aurich, Germany, ca.26-27 August 1945.